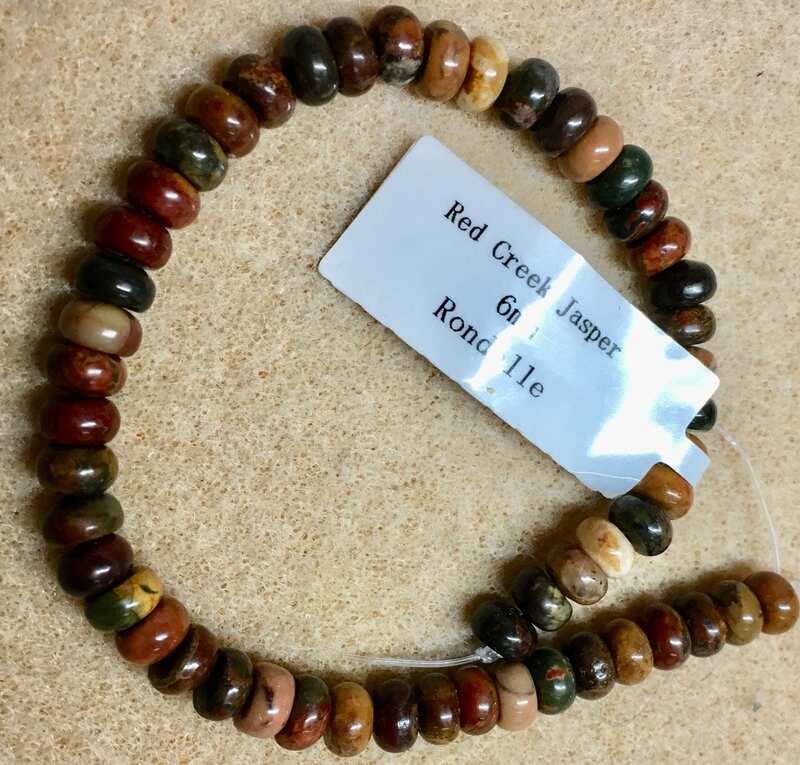 Red Creek Jasper gemstone beads 6mm smooth rondelles. Lovely red tones along with exquisite shades of yellow, green, brown, and gray. There are approx 52 beads per 8 inch strand. Red Creek "jasper" is kind of an unknown among stones used for jewelry making. It's softer than other quartz-based stones (like true jaspers) and can have a granite-like appearance, but testing to determine its exact makeup is incomplete (from Lapidary Journal, Sharon Elaine Thompson).